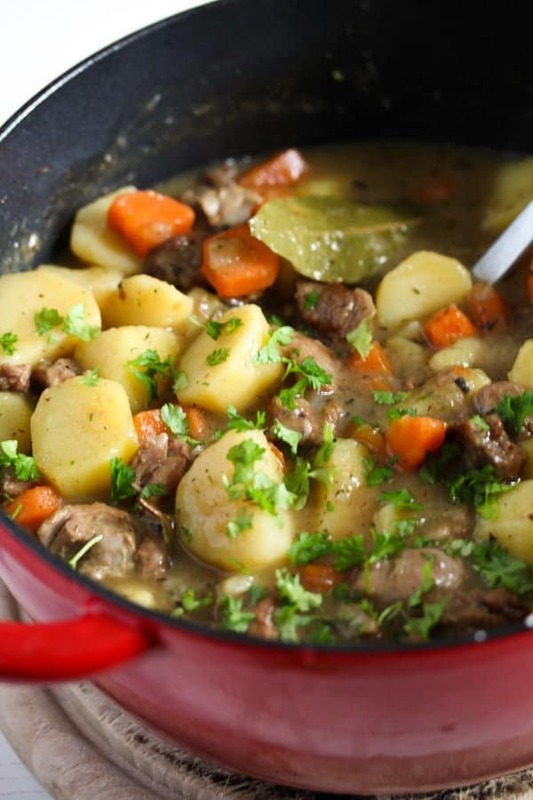 Comforting and warming Irish stew made with lamb and potatoes. A nice warm stew is the perfect dish for this kind of weather we have right now. Cold, bleak, snowy… The kind of weather that makes me want to stay inside, drink lots of hot tea and only eat soups and stews. I do make lots and lots of stews, so if in need for more stew ideas for this season, have a look at this Easy Pork Stew, this White Bean and Cabanossi Sausage Stew, this Hungarian Chicken Paprikash or this Korean Chicken Stew. Irish stew was one of the first things I have ever cooked. My first cooking attempts happened during my early 20’s when I was living in Malta and I have to admit, that most of my first tries were pure catastrophes. I didn’t follow any specific recipes, I just tried to think of what my grandmother used to cook and try it myself. It hardly ever worked. I mean, imagine frying chicken livers in a pan for half an hour… they were as though as shoe soles in the end. Irish stew was also one of my first attempts at cooking. I had gotten a rather basic recipe from the Irish girlfriend of my employee, bought the ingredients: beef, carrots, onions and potatoes and started cooking. No stock or broth, just water and salt. Not even a stock cube or anything. Thank God, my cooking skills have evolved during the past years. 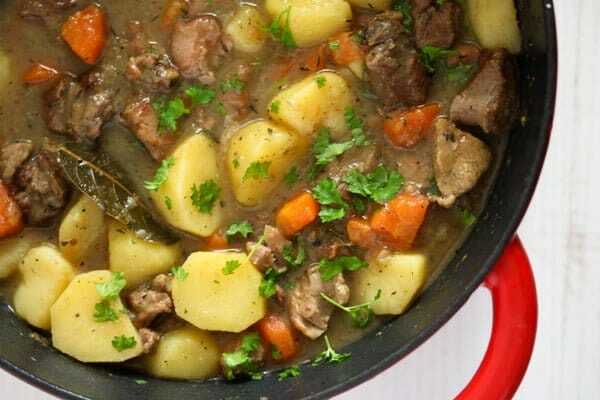 An Irish stew or lamb and potato stew is a completely different dish nowadays: meltingly tender lamb pieces and soft potatoes, coated in a rich, flavorful sauce made with good quality beef or lamb stock. 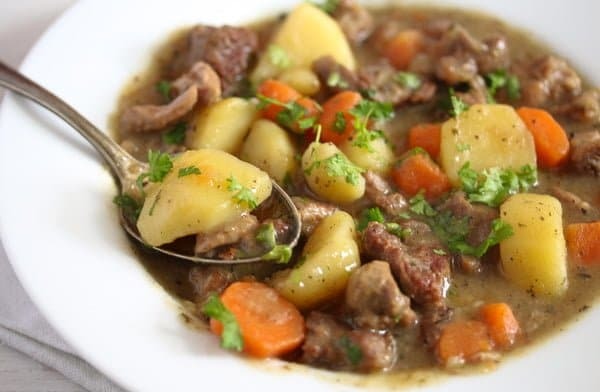 You could make Irish stew either with beef or lamb. I have made the lamb version this time. 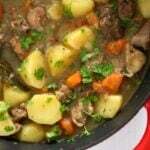 I used boneless lamb shoulder to cook the Irish stew recipe. I asked the butcher to remove the meat from the bone and took home the bone as well. I cooked a nice stock with the lamb bone, some vegetables and spices and only then made the lamb and potato stew. 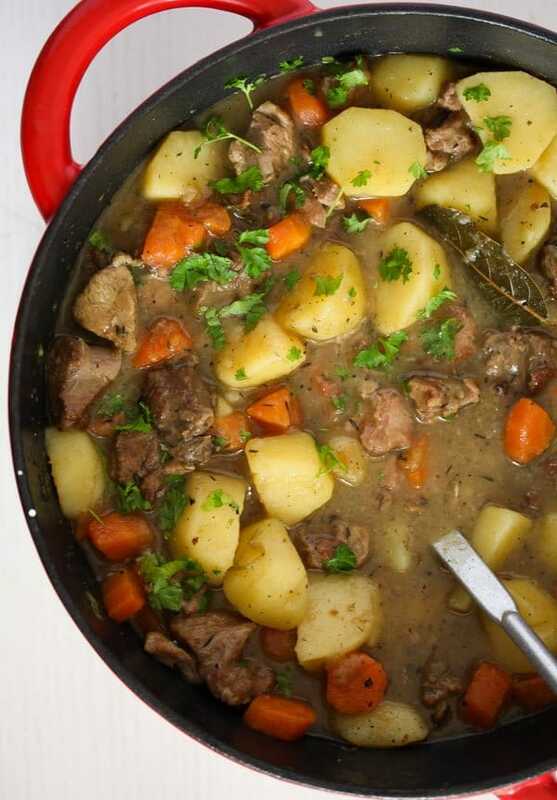 You definitely don’t have to cook your own lamb stock for this Irish stew recipe. I did it because I had already paid for the bone, but otherwise I would have used beef broth or stock or I have bought some good quality beef or lamb stock. Give the lamb bone to a large pot. 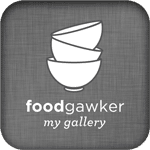 Add 3-4 celery sticks or one larger piece of celeriac, two large carrots cut in half, one large onion cut in half, 2 garlic cloves, 1 small leek or the greens of a small bunch of spring onions. Add the spices as well: 10 black peppercorns, 4 cloves, 6 juniper berries, 5 all-spices berries and 2 bay leaves. Cover with water and bring to a boil. Add salt. Immediately turn the heat down to low and simmer the stock, uncovered, for several hours. At least two hours, but above that is up to you, the longer you cook the stock, the more concentrated and tastier it will be. I usually cook it for 4 to 6 hours. You will only need two larger onions, some garlic, carrots and potatoes. Additionally, some bay leaves and a little dried thyme, salt and pepper. Cut the lamb shoulder into small cubes. Make sure to pat them dry thoroughly with some kitchen paper. Heat some oil in a heavy bottom pan and sear the meat on all sides working in several batches. Don’t be tempted to sear all the meat at once, an overcrowded pan will cause the meat to release too much water and the meat will cook in those juices rather than frying. Remove the seared meat to a plate and repeat with the remaining meat adding more oil to the pan, if necessary. When all the meat is out of the pan, cook the onion and the garlic. Return the meat to the pan, add the spices and some of the broth or stock, bring the Irish stew with lamb to a boil, lower the heat, cover the pan and simmer the stew for about 45 minutes, stirring occasionally. Check the meat at this point, it should be rather soft already. You could give it 10 minutes more if you find it too tough. In the meantime, slice the second onion and chop the carrots and potatoes. Give the onion to the pot and cook the Irish stew with lamb for another 15 minutes. 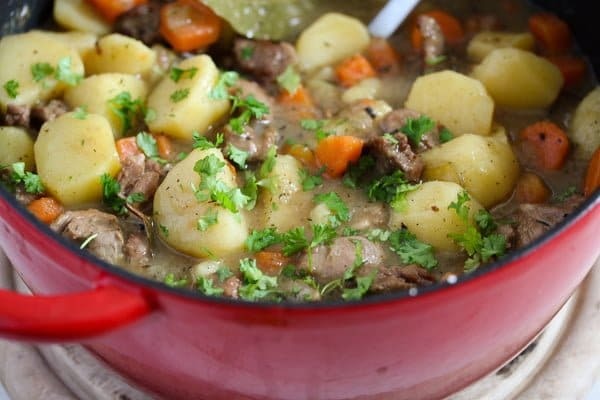 Add the carrots and the potatoes and cook the lamb and potato stew for another 25-30 minutes or until the meat is very tender and the carrots and potatoes are soft. 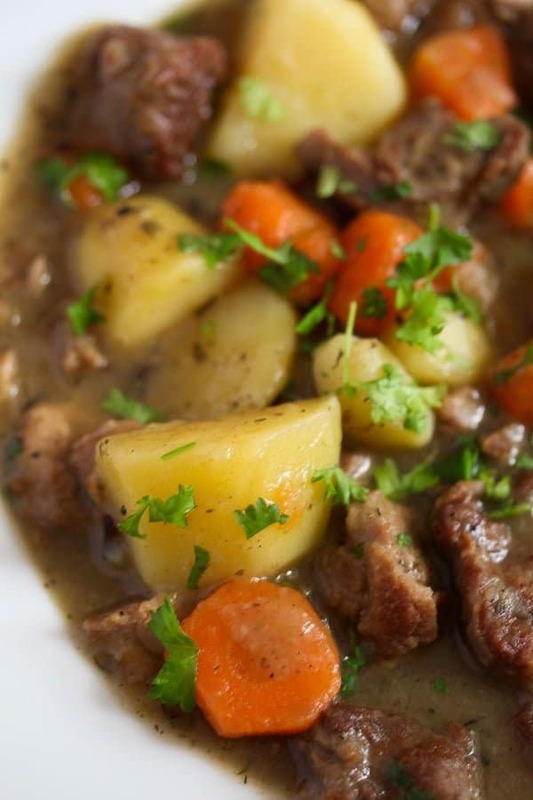 The Irish stew can be easily reheated. As you already have the potatoes in the stew, you will not necessarily need another starchy side dish. Still, Irish soda bread would be perfect alongside a hot bowl of Irish stew. When it comes to vegetables, you could try some stewed white cabbage, roasted or boiled Brussels sprouts or green beans. Cut the lamb into small cubes. Pat the meat dry with kitchen paper. Heat 1 tablespoon oil in a heavy bottom pan. Add some of the lamb cubes to the pan, you will have to fry the meat in several batches. Sear the meat on all sides. Remove from the pan and set aside. Repeat with the remaining lamb cubes adding more oil in between, if necessary. In the meantime, chop 1 onion and the garlic. Cook them gently in the same pan for about 2 minutes or until the onion is golden. Give the lamb cubes back to the pan and add only about 500 ml/ 2 cups of the broth. Add the dried thyme and the bay leaves. Lower the heat and simmer the stew, covered, for about 45 minutes or until the lamb cubes are almost tender. Stir occasionally. In the meantime, slice the second onion. Give the onion to the stew, stir well, cover again and continue cooking for another 15 minutes. Chop the carrots, peel and cut the potatoes into larger chunks. Add them to the pot together with the remaining lamb or beef stock. Stir well. Cover and simmer for about 25-30 until the meat and potatoes are tender. If you want the stew to be thicker, you could remove the lid during the last 15 minutes of the cooking time. So very delicious and I love the easy preparation too. Mmmm, this looks perfect for Saint Patricks Day, and it’s just coming up soon! it looks so easy to make recipe you make it so to the point with the ingredients and it looks so delicious!